The group’s biography says, “LA-based soul/pop band HEЯITAGE was originally founded in 2011 by a group of young talented musicians. Over the years they have developed into a breathtaking trio that includes a vocalist/guitarist [Hannah Eggen] from Bermuda, saxophonist/bassist [Gianluca Gibbons] from Bermuda and percussionist [Kevin Jimenez] from California. “Their energetic stage presence and unique sound have allowed them to perform in numerous public and private venues around Southern California, Colorado and Bermuda. Members of the band have worked with and opened for artists such as Carlos Santana, Wyclef Jean, The Madden Brothers, Wayne Wonder, Nico & Vinz, Natasha Bedingfield and Sam Smith. A spokesperson said, “Bermudian rhythms, latin horns, EDM buildups, dancehall grooves and summer vibes have joined forces to create this summer hit. The intro of the song captures a snare rhythm that is native to Bermuda, known as a Gombey beat. It was played by drummer Kevin Jimenez, who was taught these rhythms by local Bermudian drummers during HEЯITAGE’s 2015 Bermuda Summer tour. “The song was written and arranged by Gianluca Gibbons and sung by Hannah Eggen. The lyrics of the song were written with Bermudian summer imagery in mind. 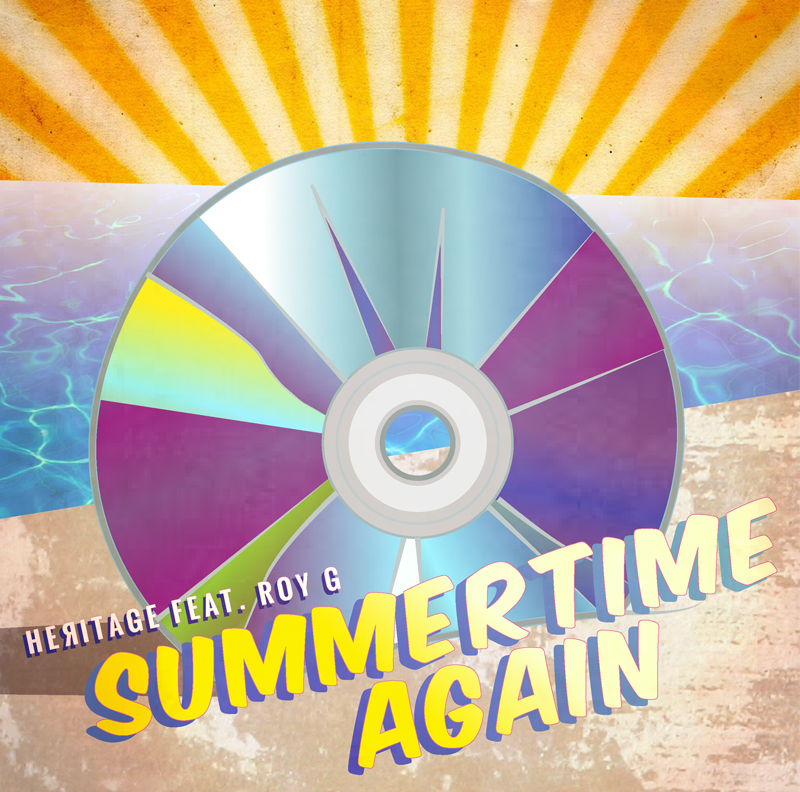 The song features reggae artist Roy G, who connected with the band when they opened for him and reggae legend Wayne Wonder last summer in Bermuda for Chewstick’s Emancipation Concert. The band said, “Summertime Again is our first single, and is heavily inspired by Bermuda. We did our first international tour in Bermuda during Summer 15’ and they really treated us well! We wanted to dedicate our first single to Bermuda, as a way of paying homage to the island that embraced the band so warmly. “But this song is not just for Bermuda, it’s for the world. With all that’s happening around us we’ve decided to dedicate our talents to filling the world with positive music, to uplift spirits and inspire love. We are now one song closer to achieving our mission.